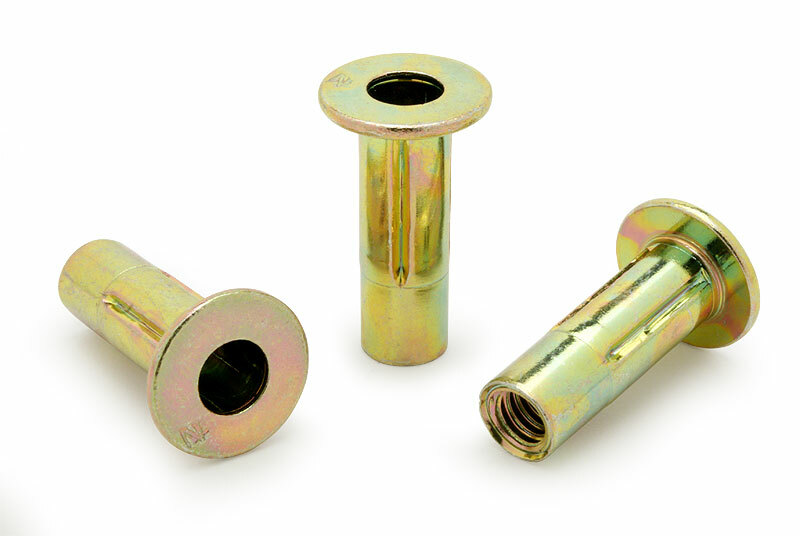 The RivetKing IPB and IPN Series Rivetnuts do what traditional rivet nuts cannot. This series is designed for soft materials such as plastics, fiberglass and thin sheet metal where increased pullout resistance is required. The fastener performance is dictated by the four folding tines that are extended during the riveting process. The result is an upset of metal that is nearly three times the diameter of the hole. This series is offered in both pre-bulbed & straight shank versions. The pre-bulbed version is designed to work with spin-spin tools, while the straight shank version is designed to work with spin-pull tools only.